Josh Groban, a popular actor, and musician is known for his song The You Raise Me Up. Groban is also popular with exciting affairs with several high-profile celebrities including Katy Perry and Kat Dennings. A multi-platinum album certified artist has made his four solo albums on the list. Groban has released seven studio albums, over five headline and symphonic tours as of 2018. 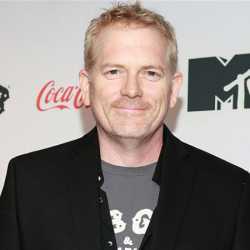 Besides, he has also made his appearances in several television series and films. He is most popular for his electrifying live performance and comedic film and television appearances. 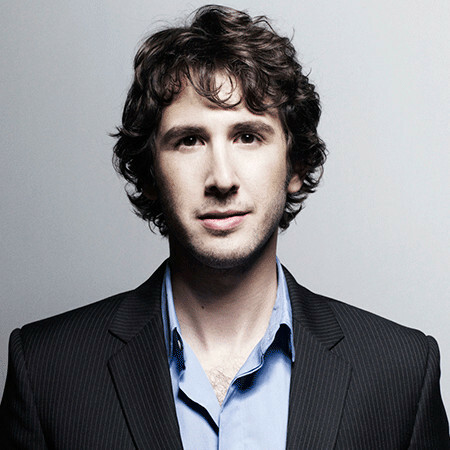 Born on born February 27, 1981, Joshua Winslow "Josh" Groban is an American singer, songwriter, actor, and record producer. He was born in Los Angeles, California, the U.S. His mother Lindy was a teacher and his father Jack Groban was a businessman. Groban also has a younger brother, Chris, who is 5 years younger to him. He belongs to American nationality and regarding his ethnicity, he is a mixed. Josh Groban is known to perform music in genres like Easy listening vocal, operatic pop and pop rock. He also plays the piano, drums, percussion, and accordion. Till today his albums have sold over 25 million records worldwide and in 2007 he was named the number-one best-selling artist in the United States. He is a multi-talented personality who has explored his skills in a wide number of fields ranging from acting to singing. Groban performed on stage for the first time when he was in the seventh grade but he was more focused on acting during his school years. He gradually developed to be a multi-talented global artist which we know him as today. Josh Groban attended Los Angeles County High School for the Arts as a theater major and graduated in 1999. He also joined the Interlochen Center for the Arts Camp in Michigan back in 1997 and 1998. Josh later joined Carnegie Mellon University to study drama but dropped out in the first semester. Groban worked for David Foster as a rehearsal singer after being introduced to him by his vocal coach, Seth Riggs. The singer's self-titled debut album Josh Groban was released on November 20, 2001, which became a double-platinum album. Groban's released his second album in 2003 which was named 'closer' and it was followed by Awake in 2006, Noel in 2007, Illuminations in 2010, All That Echoes in 2013 and Stages in 2015. 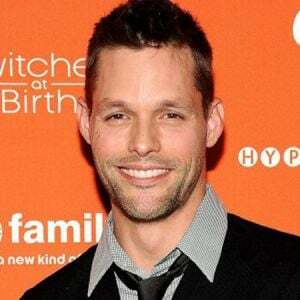 Josh has appeared in many TV shows and movies including 'The Oprah Winfrey Show' for six times, The Ellen DeGeneres Show, Larry King Live, The Rosie O'Donnell Show, Tim & Eric Awesome Show, Great Job! and Jimmy Kimmel Live to name a few. 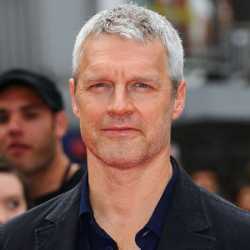 He has also done Hollywood movies including Coffee Town and Muppets Most Wanted. Josh Groban’s net worth is $30 million. His incomes come from his album sales, tours, and TV appearances. In 2016, he sold his gated Malibu retreat mansion for $3.75 million. He bought the mansion a decade ago for around $4.125 million. The 3,300-square-foot home features six bedrooms and five bathrooms. He has also a houe which worth around $5.5 million. His five years annual income is shown below. Josh Groban has been extremely successful with a remarkable career and has a very high income. Apart from his singing and acting he also frequently tours around the world which adds to his annual income. Josh Groban has engaged to many charities including the VH1 Save the Music Foundation (2005) and Tsunami Aid: A Concert of Hope (2005). He also founded the Josh Groban Foundation to help children in need through education, healthcare, and the arts. He was appointed by Nelson Mandela as the Official Ambassador for Mandela's Project 46664, a campaign to help raise Global awareness of HIV/AIDS in Africa. Similarly, he has been actively involved in various charities and works of community service. Unmarried Josh Groban has dated several Hollywood divas. From 2003-06, he was together with actress January Jones. His reporter announced their break up in early 2006 but, even after their break up they have remained friends. In March 2009, he dated Roar singer Katy Perry. The duo could not take their relationship for a long time and they decided to remain friends for a lifetime. After separating from Perry, he was in a relationship with actor April Bowlby for one year. In 2012, he dated another actress Michelle Trachtenberg for few months. From 2014-16, he lived together with Hollywood diva Kat Dennings. In July 2016, the couple called it quits and as per some sources, the couple had a mutual break-up. 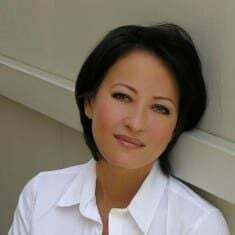 After separating her, he has not dated anyone. In regards to his personal life, Josh Groban's girlfriend was actress January Jones from 2003 to 2006. 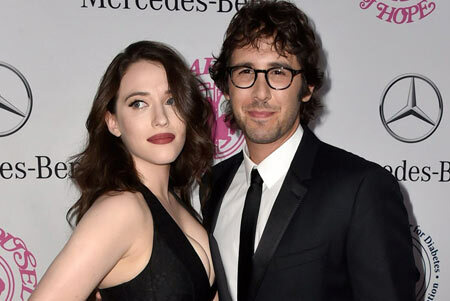 The very charming actor Josh Groban was in another relationship with Kat Dennings from October 2014 but that relationship also didn't last long. Josh Groban is a 35-year-old star who has charmingly good looks. He is 5 feet and 11 inches tall. 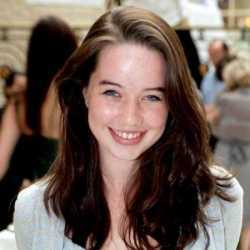 Josh has a fair white complexion and his hair color is dark brown. Groban's age as of 2019 is 38 years.